When you explain it to a total newcomer, how do you get people interested and excited about Blockchain, yet without being too technical? I actually run a session called Blockchain in 5 Minutes. What I do is go back to basics and explain first of all what a ledger is, then what a shared ledger is and then what is meant by a distributed ledger. Then I try to park that and give real world examples of how that is useful. I explain how data is stored in a block and how those blocks are chained together in a sequence, hence the term blockchain. You then have a write-only, cryptographically secure and programmable database. However, what gets people excited is not how it all works but giving examples of the benefits that blockchains can provide. Then people start to get really interested. What was it that attracted you into helping business use and understand Blockchain? I first heard the term used about 3 years ago and I went off and attended a few events. I found that speakers either tended to be very ‘deep in the weeds’ and were making their talks too complex and technical or else they were talking about something they didn’t really understand. Frustrated by this, I started doing a lot of my own reading and learning and this was when the enormous potential of blockchain to transform business really clicked for me. I know you work closely with insurers and others in the healthcare industry. What are the types of new Blockchain-based innovations do you see being build in the healthcare field? 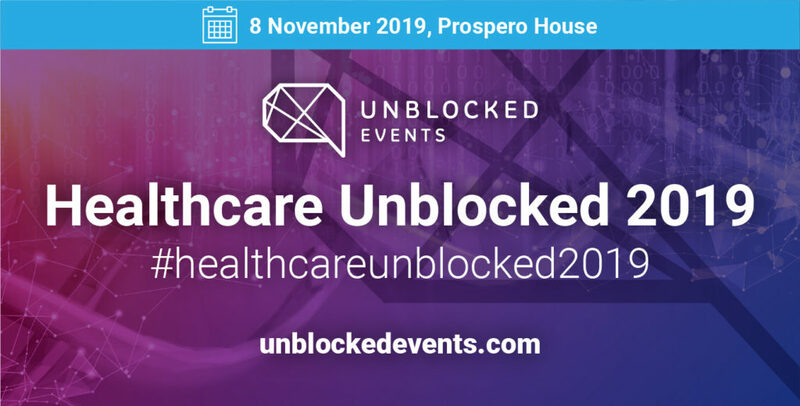 There is a whole mixture of things going on from pharmaceutical companies to NHS software providers to insurers getting interested in blockchain. One of the initial uses cases that often springs to people’s minds is putting patient healthcare records on the blockchain. But you may remember that a few years ago we had the NHS National Programme for IT project which famously spent over £12bn trying to achieve electronic patient records. Ultimately it was politics and the complexities of a top-down NHS that caused the problems, not the technology. Those problems can’t be solved by blockchain technology. However, if we can achieve a paradigm shift into patients owning their own healthcare data, then blockchain can offer a real opportunity but we need a political mind shift to allow that to happen. Outside of healthcare data, other interesting areas include supply chain, provenance and traceability of pharmaceuticals, and healthcare management. If we extend blockchain into other areas such as its overlap with the Internet of Things then we can see all sorts of possible interesting applications, linking wearables with capturing personal healthcare data in a highly secure way. Suddenly there are new possibilities like diabetes patients being able to prove they have a healthy lifestyle and being able to reduce their healthcare insurance premiums accordingly, to take just one example. Or trackers could provide warnings that a possible public health emergency was looming if certain data – like a series of people in one geographical area all suddenly having much faster heart beats – this could be transmitted to a system which could trigger an alert. We are currently seeing a lot of articles about the ‘Crypto boom’ yet at the same time Bitcoin and Ether prices are going down. Can cryptocurrencies and Blockchain technology live up to the hype or will security concerns and regulatory hurdles bog down progress? I think security concerns around blockchain technology are usually misplaced. The Bitcoin blockchain, the largest blockchain currently in existence, has never been successfully hacked. Yes, exchanges and wallets have been hacked but blockchains themselves are pretty secure. In regards to regulation, I speak to a lot of people about regulation. I recently attended an event at the House of Lords about regulation and also a Financial Conduct Authority roundtable. I always try to make the point that blockchains themselves should not be regulated, but the processes associated with them should be. So, in the same way that we don’t regulate the use of Excel spreadsheets, we should leave blockchains alone. On the cryptocurrency point, I think we need to move away from seeing blockchains as being purely associated with cryptocurrencies – this is just one use case for blockchains and there are many others. How can Blockchain projects take off when there are so few developers or business leaders who are expert in this field? There is already a nascent industry springing up for Blockchain training and consultancy. We will end up with a situation where blockchain is like the plumbing and we will just need more traditional Java developers or existing non-blockchain specialists to build on top of that plumbing. There are many people out there claiming to be Blockchain experts even though the technology has not been around that long so we may need some kind of quality control mechanisms to help companies understand how to interact with the technology even if they don’t actually need to know how to use it directly. R3 (through the Corda platform), for example, has developed a graphical workflow tool that makes this kind of interaction more user-friendly from an enterprise perspective. What are the 3 key things you think companies should do if they are thinking about embarking on a Blockchain project? Get Help – There are a lot of mistakes to be made so engage with someone who already knows what those mistakes might be. Get Support – Train people internally and build internal evangelists within your organisation to get momentum going for what you want to build. Get Excited but Get Real – Blockchain is not always the answer to every problem so ask what problem you are really trying to solve. If blockchain is a good option, fast track what you want to do. The staggering growth of Initial Coin Offerings (ICOs) has been hitting the headlines in the last two weeks. The ICO commentator William Mougayar has even predicted we will see more than 1000 Initial Coin Offerings by the end of 2017. Do you see this injection of funding and media attention as good or bad for the industry? We are already beyond the gold rush, I think. ICOs are now being deployed without any sort of business model. One recent ICO white paper I read only had 2 pages on its actual business model yet managed to raise $5m with no product, just an idea, and not even a clear idea at that! We are bound to see some spectacular ICO failures but that will also help to reset the level of fervour we are now seeing. ICOs are very risky and there is no legal recourse because tokens actually confer no legal rights. They are a bit likely Monopoly money – if people agree it has a value, you can still exchange it, but what about when it ceases to have a value? As the SEC has just done, I believe the Financial Conduct Authority is likely to issue advice on ICOs shortly warning investors to take great care. What is your predicted landscape for Blockchain in 5 years time? How will things look for the start-ups of today as well as for the incumbents who may be challenged by this new wave of innovation? We need to pause and remember that Ethereum didn’t exist 3 years ago and yet it is now stealing the show. Hyperledger has only just gone into production. The first version of R3’s Corda is coming. There are hardly any production-scale blockchains in operation now but that will change very soon. Once the first few start coming out later this year there will be rapid commercialisation over the next 5 years. Blockchains will become part of the technology fabric and people will adopt blockchain-based technologies without even realising it. There will be a massive spike in innovation because the cost of innovating is now very low and you can spin out a company in a matter of weeks or months. Incumbents move much slower and may take 3 months just to sign off on a business process. However, big companies may not lose out either. Some will make hay out of advising on all this new technology and helping to accelerate change or by taking out patents and making money from licensing fees. Other will invest in Innovation Labs and creating their own in-house start-ups or they will simply buy up the competition. Those that will lose will be the ones who fail to understand and anticipate the coming transformation and get disrupted by smaller companies capturing their market share very rapidly. It’s very hard to predict the future – probably all we can predict is that we don’t know exactly what will happen but it’s going to be exciting to find out. You can find Gary on Twitter or on his website. 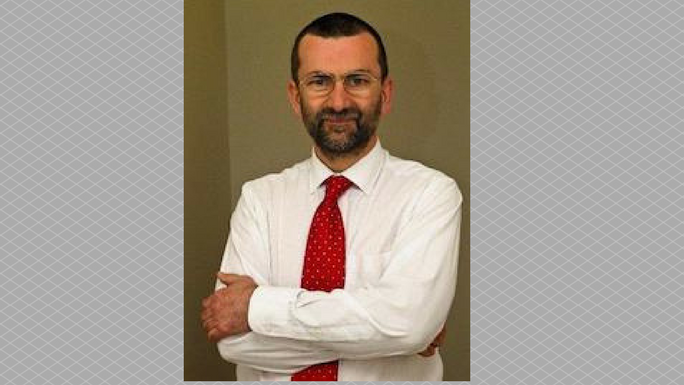 Gary will also be speaking at our forthcoming one day conference Healthcare: Unblocked on 13 October in London.